All he had to do to fix things was give up his entire life. That’s an irresistible theme – of messianism versus normalcy, of martyr versus man. Scott Free can only enjoy his domesticity on Earth with the knowledge that a pair of worlds he’s abandoned are suffering. While the writers that immediately followed Kirby had no use for the character (he appeared only twice between the end of his revived series in 1979 and Crisis on Infinite Earths in 1985-86), a decade later he was ripe for revisitation when those themes were picked up by a new generation of creators in Justice League and his second ongoing. Kirby’s run ended in Scott and Barda’s marriage, and this run startedfrom their bland suburban life – and how addicted to that normalcy they had both become. Then, like the return of old gods to a young universe, big league creators like John Byrne and Walt Simonson couldn’t resist playing with Kirby’s creations when they were handed the keys to the Fourth World intellectual property at the close of the century. But, they weren’t interested in the normalcy narrative! They wanted to go hard at the full-on Kirby cosmic madness. 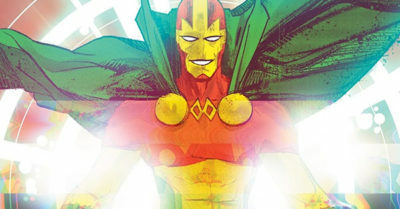 Mister Miracle fell into disuse again after that period ended in 2002, and in 2005 it was time for Grant Morrison to resurrect the character along with many other under-appreciated DC gems for Seven Soldiers– with his own unique spin, of course. He didn’t even use Scott Free as Mister Miracle! And, now, Tom King is writing a version of Mister Miracle that’s at once reverent of Kirby but also completely in keeping with the domesticized tone of that 1989 ongoing and also winkingly aware of how Byrne and Simonson dragged him back in to all that cosmic drama. Ultimately that didn’t make for a very difficult comic guide to research or format, but it gave me to opportunity to more-deeply understand one of DC’s most interesting characters – Scott Free, the man who can escape anything except for his own heritage. Want access to this guide today? It’s available in exchange for covering $1.99 a month of CK’s hosting expenses. Those “Pledgeonaut” Patrons now have access to 32 exclusive guides – more the one guide per dollar of pledging per year at the Pledgeonauts level! Current Exclusives For Pledgeonauts ($1.99+/month): 32 Guides!